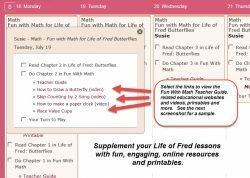 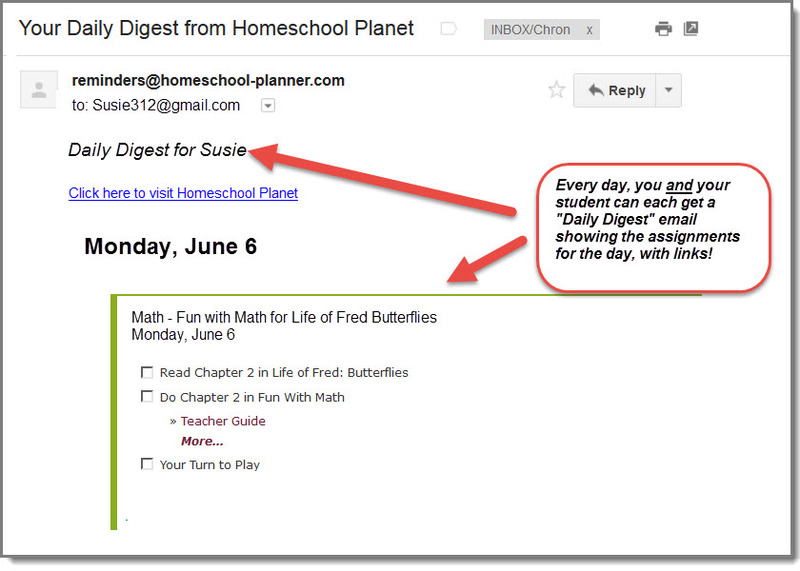 Take full advantage of your Life of Fred curriculum with the Fun with Math lesson plans featuring one-click access to a wealth of fun, online activities, worksheets, and videos supplementing the concepts taught in each Life of Fred chapter. 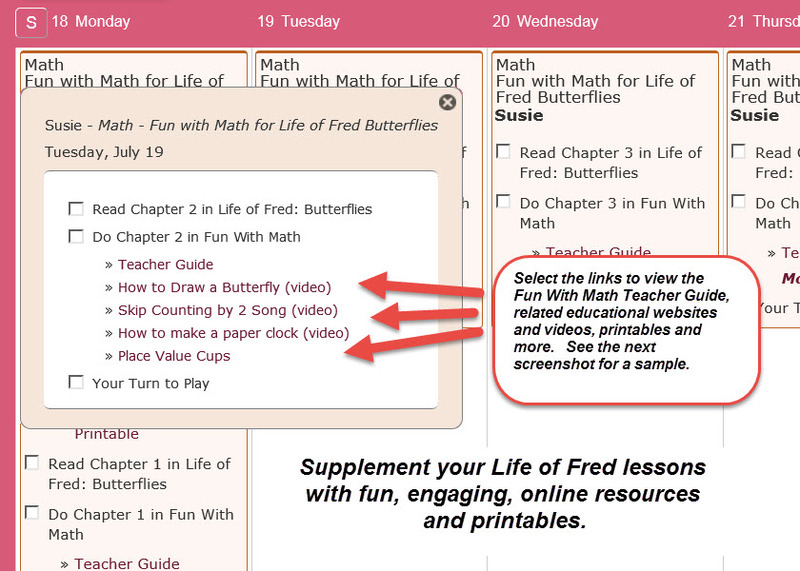 Easy-to-use, one-page Teacher Guides for each Life of Fred chapter with suggestions for fun, supplemental activities (see sample). 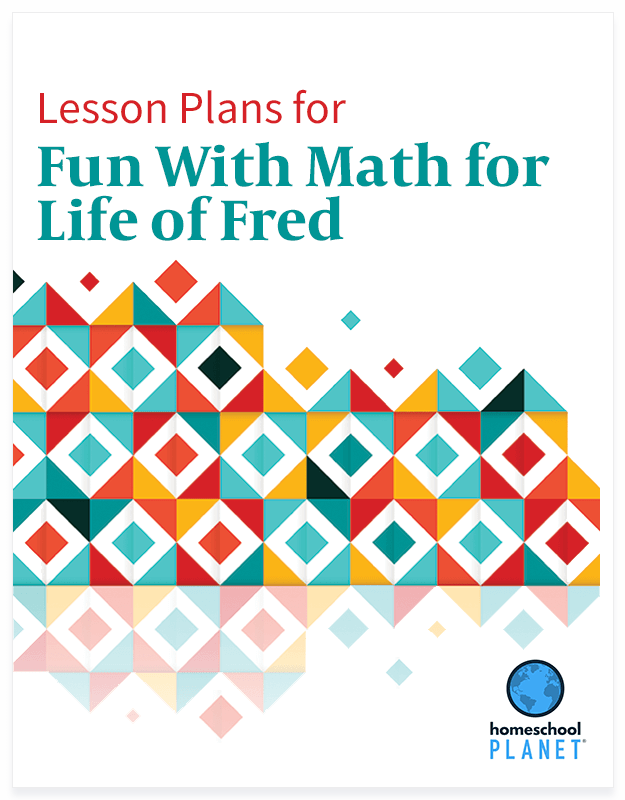 One-click access to educational videos, printable worksheets and other resources that reinforce and illuminate the concepts taught in each Life of Fred chapter. 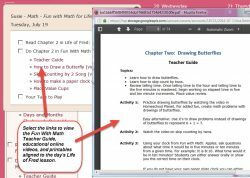 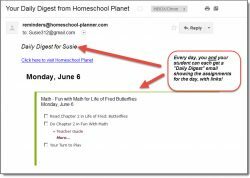 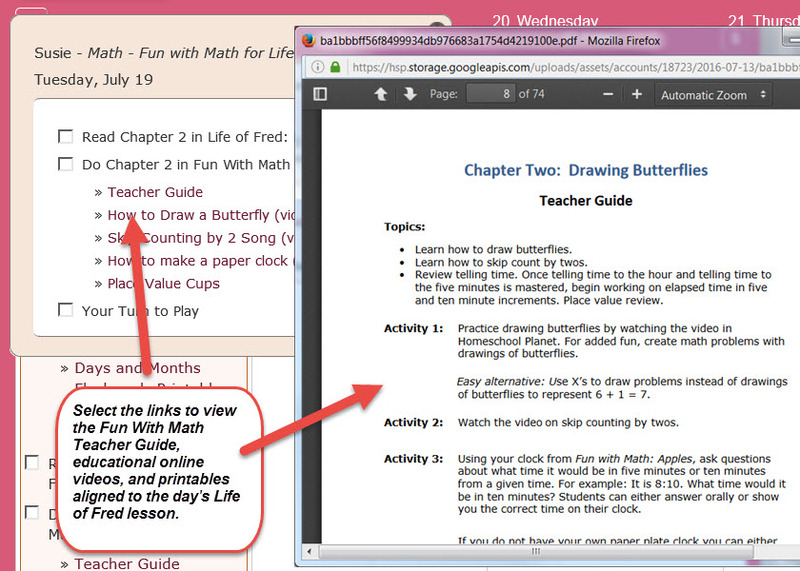 Lesson plan bundle includes ALL 10 lesson plans.